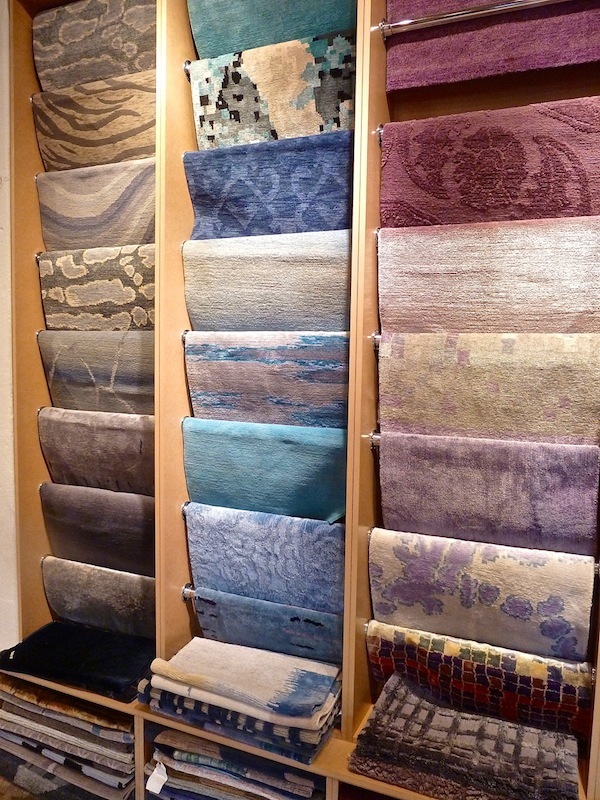 Founded in 1965, Doris Leslie Blau’s rug emporium is the stuff of design legends. For decades it was known as the go-to source for those seeking the best in the antique and avant-garde. 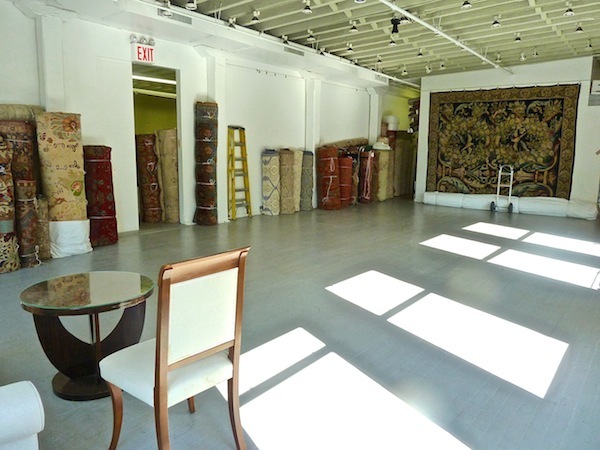 And now owned for the last 15 years by Nader Bolour, to whom Doris turned over the business, the gallery has not only continued the tradition of carrying the best of antique and vintage pieces, but has also forged ahead to also create contemporary and custom rugs as well. A few weeks ago, I paid a visit to the 61st St. gallery to take a peek. And soon you will be able to visit them in the D&D building as well! The light filled back room was the perfect spot to start by looking at a few of their classic antiques. The stock room is jam packed with endless treasures. 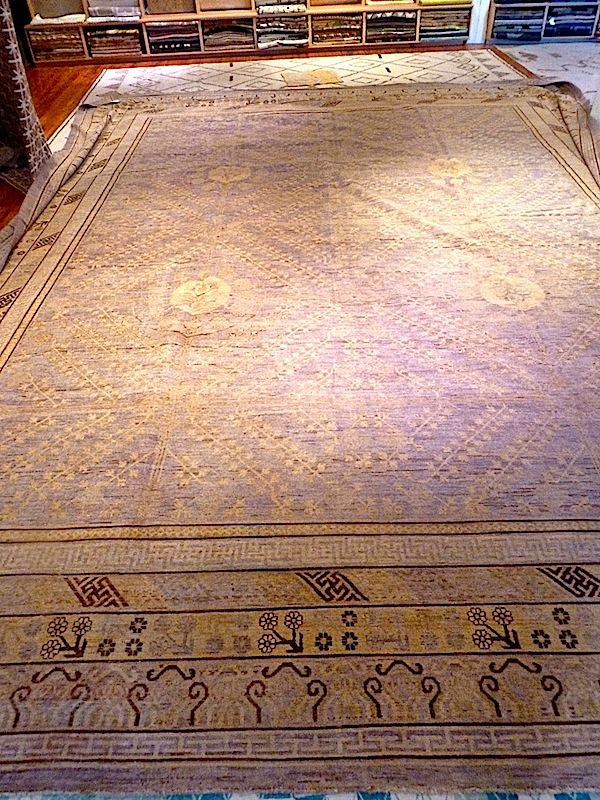 Who doesn’t love a gorgeous antique Persian rug like this Feraghan from 1900 with its classic overall pattern? You can see the incredibly workmanship from back and front. 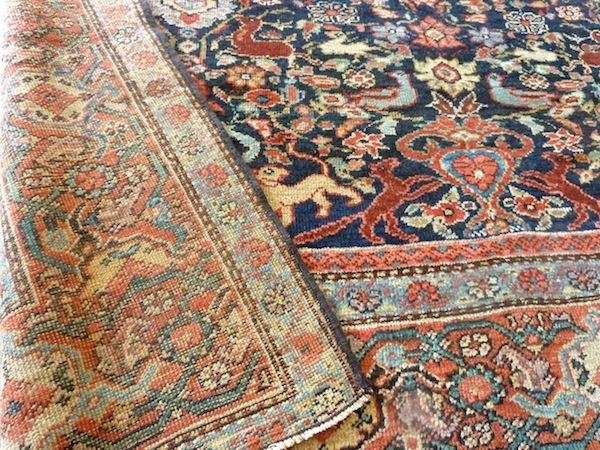 The colors and patterns in these antique Persians are so sophisticated and elegant with such whimsical detail, it’s easy to understand their coveted status. 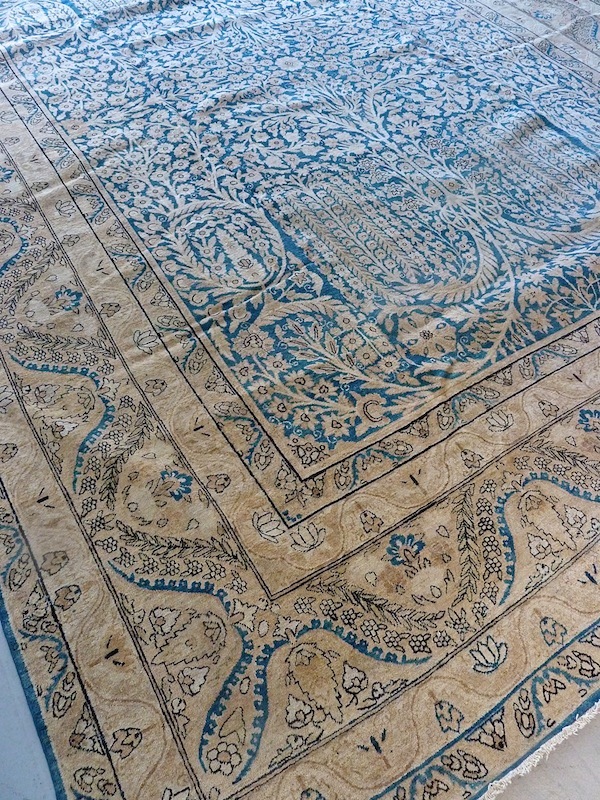 This Kirman (c. 1880) would be fabulous underfoot in any number of settings. And it’s easy to visualize this antique Sultanabad with modern furnishings. 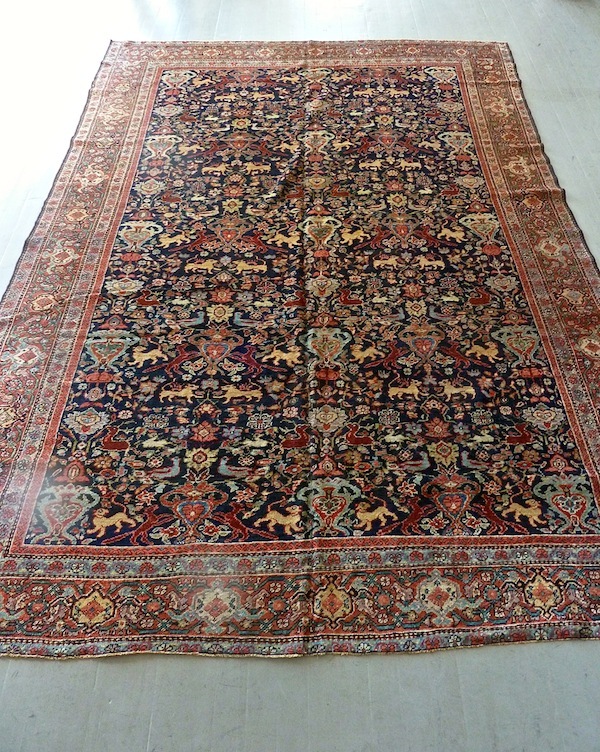 But antique and vintage rugs are not limited to just Persian designs. 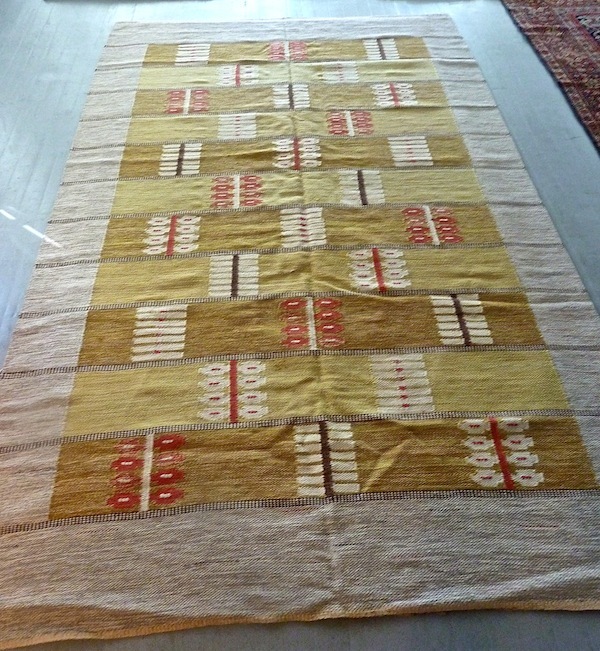 This fabulous Swedish flatweave from 1940 feels so contemporary. It would obviously be perfect with other mid century designs but could also hold its own in and enhance a completely modern room. But there is now so much more to Doris Leslie Blau. 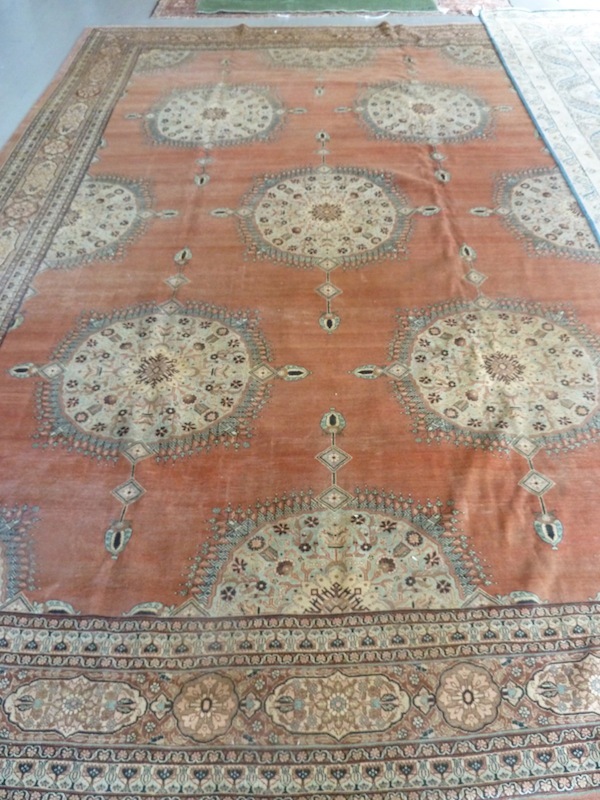 For those who love the look of old rugs but aren’t blessed with the budget for one, there are new versions made with old yarns, like this enormous Samarkand. 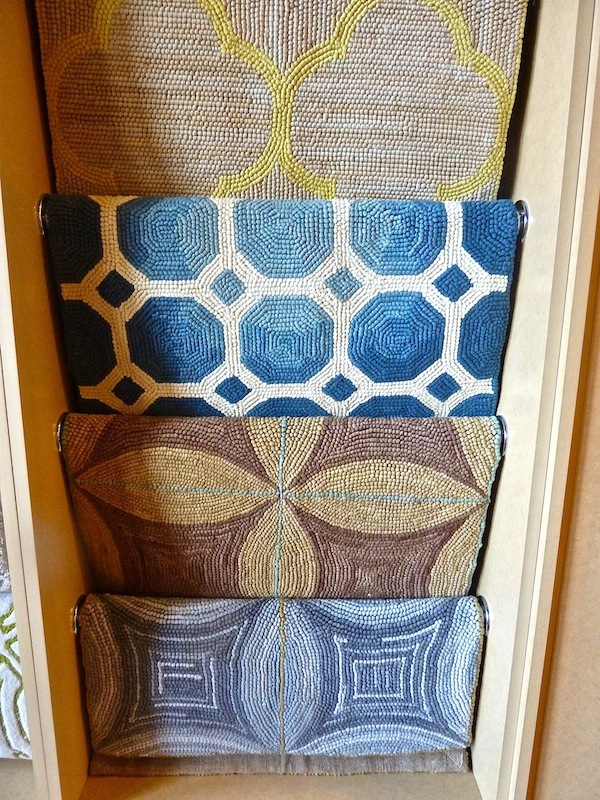 Even some of the completely new rugs have a vintage feel. 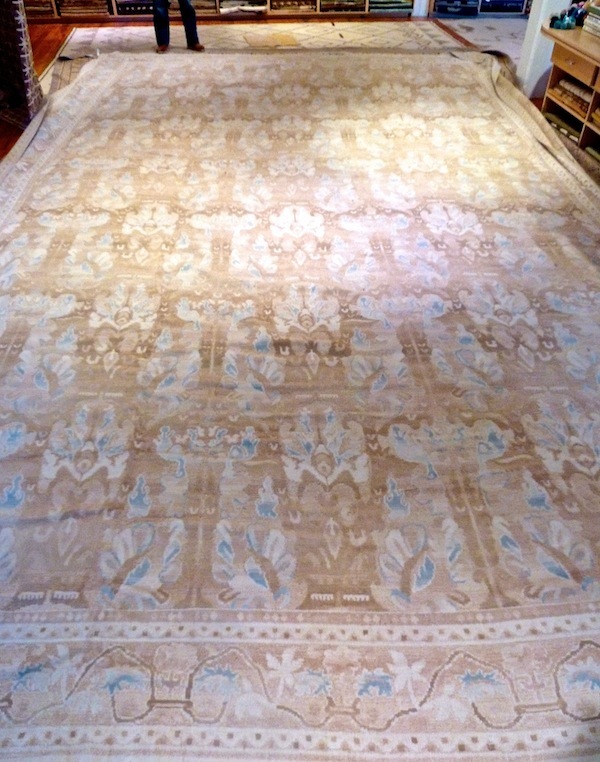 I loved this Alhambra rug. 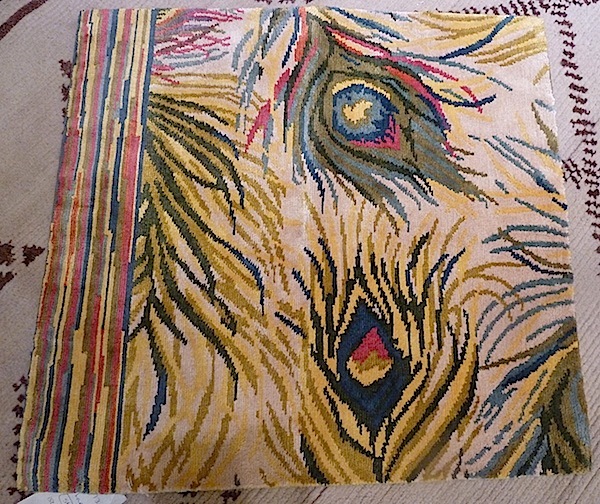 A wool aubusson weave with a high/low texture, it is made in the finest workshop in China and would look simply smashing in my bedroom – just saying! And then there the many new designs. It is almost overwhelming to see all the choices. There are examples of almost every application you can imagine. As we are (finally) approaching warmer weather, you might consider their beautiful selection of custom hooked cotton rugs for a beach or country house. And their collaborations with designers have yielded exceptional results. Last fall Doris Leslie Blau teamed with wallpaper and fabric company Eskayel to translate Shanan Campanaro’s watercolors into functional art for the floor. 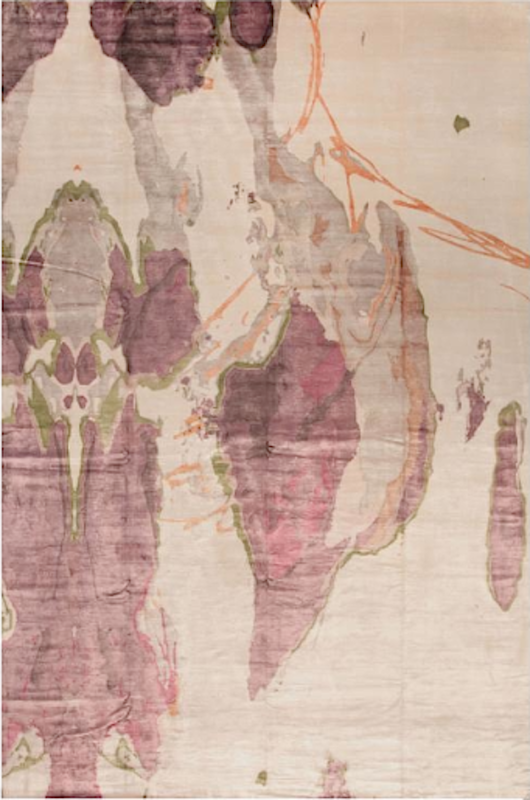 I love the jewel toned Madagascar below, in banana silk. They have in stock many individual examples of custom pieces created by designers. A favorite was Nanette Lepore’s lively Peacock, below. And just a couple of weeks ago, they debuted a new collection from Bunny Williams. With “stylized versions of classic motifs,” it is an eclectic grouping that offers a modern take on tradition – just like Doris Leslie Blau. 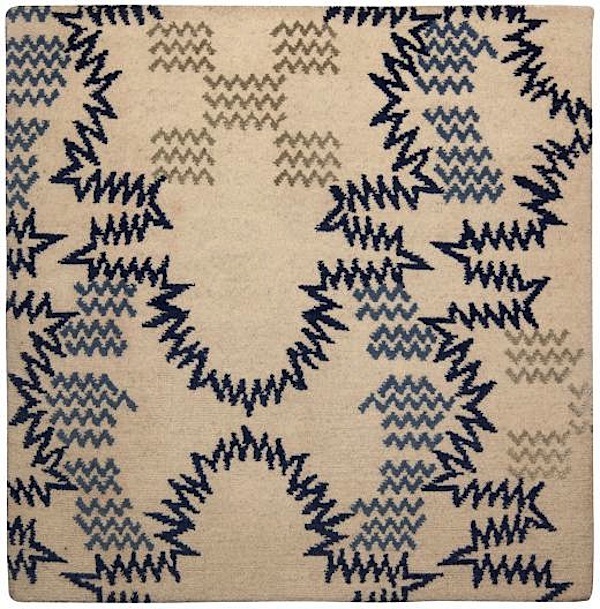 I’m crazy about this Paleo blue rug, with its energized neolithic lines. And in addition to their beautiful products, what I love about Doris Leslie Blau, is that they get the mix. They are “extreme advocates of fusing genres,” of understanding for example, how successfully old rugs can work in modern environments and visa versa. Here, from a shoot last year, a vintage Turkish Oushak from 1940 plays nicely with eclectic furnishings from Demiurge New York. 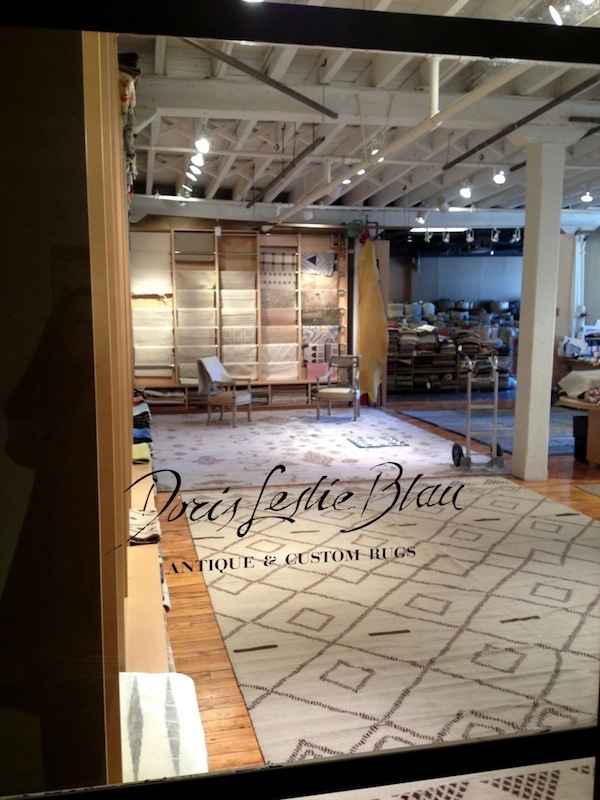 No matter what your style or rug needs, you can find, or have made, whatever you desire at Doris Leslie Blau. Your biggest problem will be making a decision! This entry posted in interior design. 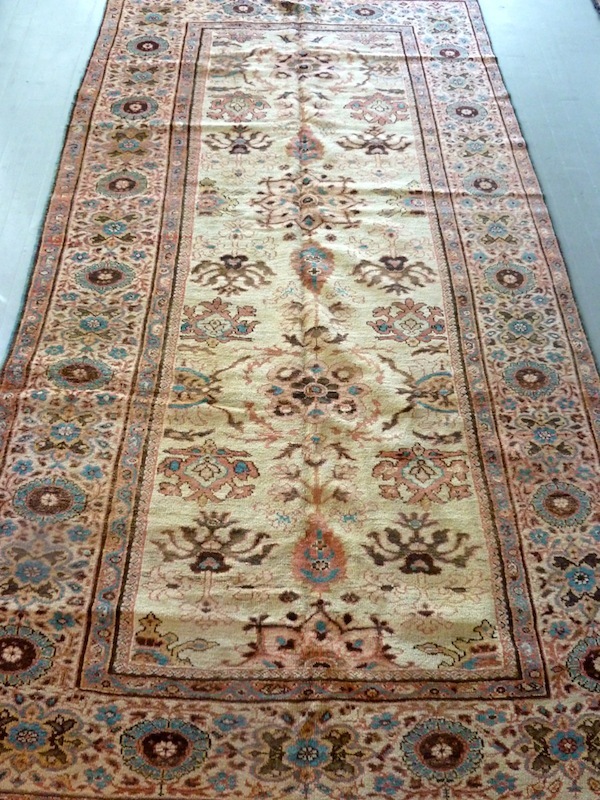 Entry Tags: Antique rugs, Custom rugs, Decorating, Home Bookmark the permalink. So beautiful. 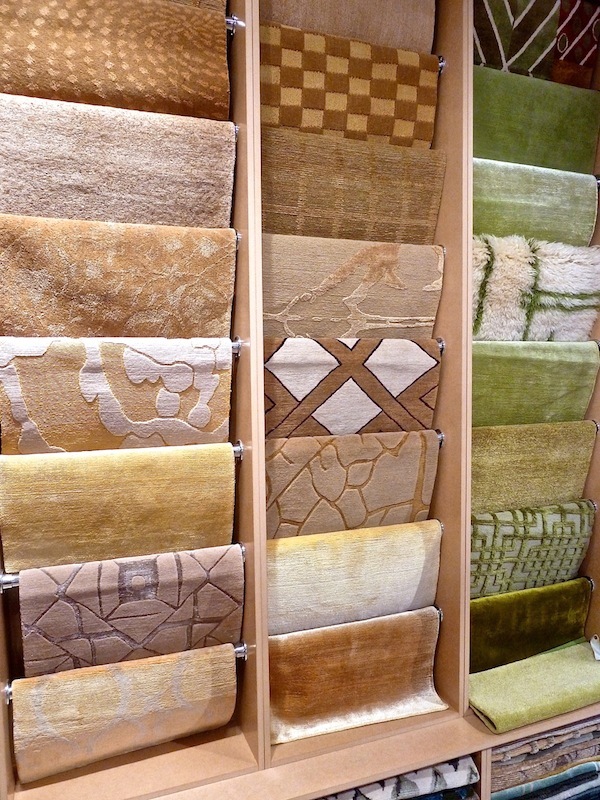 I wish I could touch these rugs; the different textures combined with the colors and patterns must be euphoric. Well done Stacey, I’m a big fan of DLB. Nadar and Dorian are amazing! I love the Alhambra too! Rug design has come along way. I look at the classics and wonder if they’ve been replaced. But DLB has a wonderful collection that suits any style decor. Running over to seize the Eskayel and Bunny Williams collections! 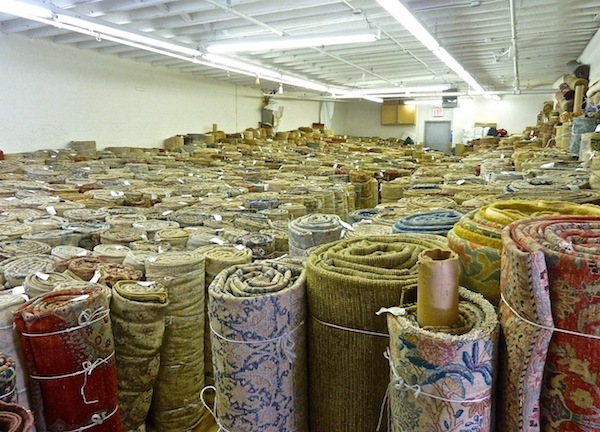 This could create a rug addiction!! I definitely think that Alhambra needs to find it’s way into your bedroom!!! The vintage Turkish Oushak is amazing. I love mixing the old with the new. Great post. This source is new to us and we love all the colors and textures. We can definitely see the hooked rugs out in the Hamptons! 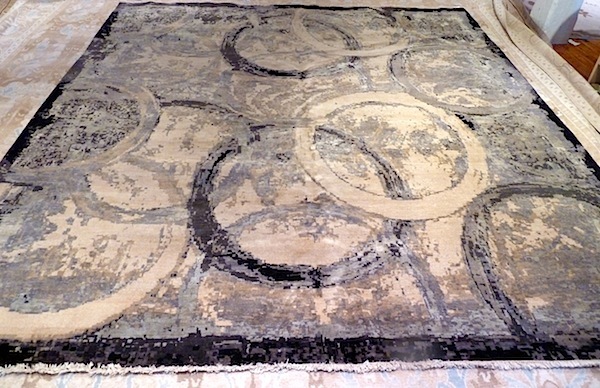 The hooked rugs would be fantastic in the Hamptons! Would love to show you sometime, come on by! 80 queries in 0.495 seconds.